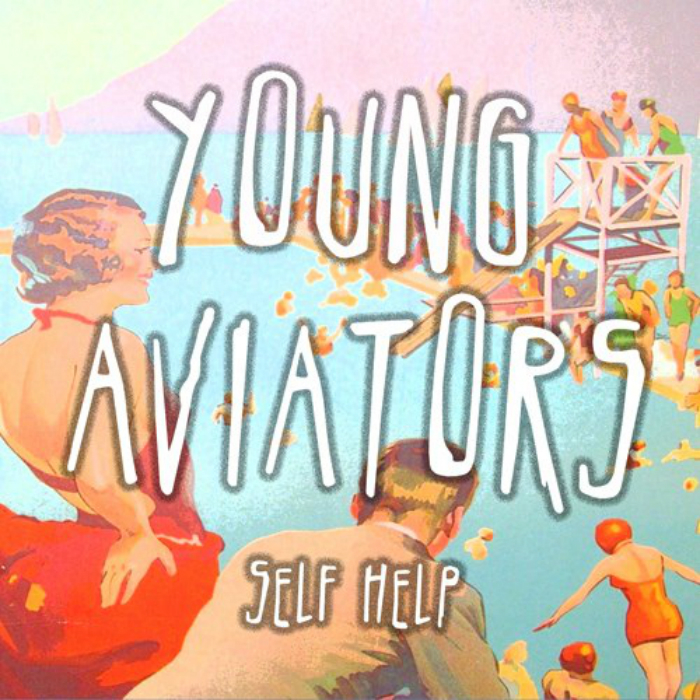 First came the brilliant Brit-Pop inspired “Forward Thinking” (read our review) and now “Sunrise On The Motorway” – the opening track from Young Aviators‘ upcoming full length album, ‘Self Help‘. Where the first single boasted the indie-disco danceability of Franz Ferdinand with hints of Teenage Fanclub, on “Sunrise On The Motorway” the U.K. trio channel early R.E.M. and pair with it four-on-the-floor beats. It starts off slow before the chords ring out and a snare roll sees the band surging forward with the energy and vibrancy of early Arctic Monkeys. Like the single before it, a huge part of the appeal is the way the band pair danceable, up-tempo grooves with top-shelf melodies and songcraft. “Sunrise On The Motorway” is no exception. The song’s brilliant and inspired guitar melodies that occur around 1:10 is where the R.E.M. comparison comes and try as you might but your body is gonna move to this one. Vocally they call to mind Alex Turner while the “ooohs” and “aaahs” in the chorus give the song a layer of sugar-coated goodness, all combining to make this track another irresistible and solidly crafted tune. The album, ‘Self Help’, will be released through Electric Honey on 30 September, 2013.